Is your pet itching this summer? 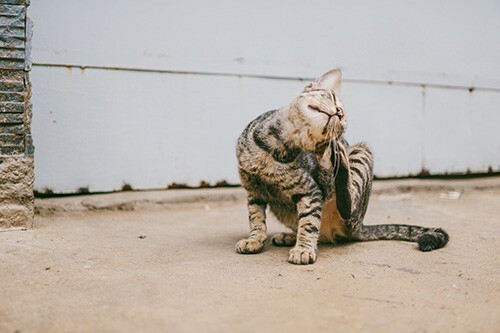 Itchy skin can be irritating for both pet and owner! Signs to look out for are licking their paws, rubbing their face along the ground, scratching their belly and under their arms, rubbing their bottoms along the ground and chewing at their tail base.